Sometimes life is so busy. There’s work, there’s play, there’s challenge, there’s stimulation. The body gets tired and the mind gets worn out. In fact, the mind gets a better work out than the body, at least in my case. And by the time my husband says it’s bedtime, my body just wants to stay in that perfect spot on the recliner, because I’m just beginning to get relaxed. Does that happen to you too? So it was Wednesday night and it was time to start heading upstairs to bed. My husband got a head start, because he was more tired than usual. I got busy with my last-minute-before-bed chores. I know, I should really do some of those things earlier (prepare my coffeemaker, do the cat litter), but it’s my routine. Then I decided to have a last minute bowl of cereal. (Apparently Mitt Romney likes his late night bowl of cereal, too – go figure!) Well, I can tell you that THAT never happened. I opened the cereal cabinet and it was an ant fiesta! ¡Ay Caramba! There were at least a hundred ants up and down the cabinet. We had been having turf wars in the kitchen for some time, but I had never seen so many at once. So I quickly and carefully emptied the cabinet and began spraying and wiping down. And a few minutes would pass and the replacements would come in. “Don’t even think about it,” I would say, as I sprayed and wiped, “No party in my kitchen!” I felt like the bad guy, spoiling all the fun, but I’m not crazy about having ants with my Cheerios, if you know what I mean. Anyway, between the ant control and folding my laundry (yeah, I know, I should have done that earlier too), I was up for an additional half hour. This, after a busy work day and the work I brought home to do as well. But what could I do at this point? I had to stay up and deal with the ants. Can you imagine what I would have found in the morning if I hadn’t gone for the cereal that night? I shudder. Finally, I washed up and laid myself down to sleep. 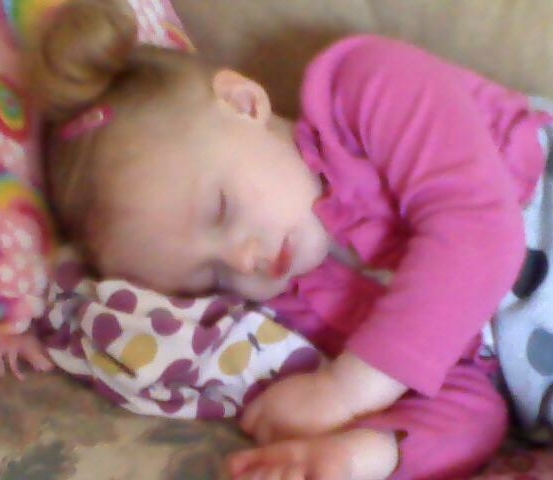 Already sleeping like a baby, my husband was oblivious to the house party we had been throwing. I closed my eyes, thinking that it wouldn’t matter so much about the amount of sleep that I might get, as it would the quality of the sleep. So all I needed was to get a restful sleep. Then an idea came to me; a very simple idea to quiet my active, overstimulated mind. I would not think about ants, I would not think about work. I would not even think about my blog (a favorite place my mind goes). Instead, I would visualize each of these things as being a white, helium-filled balloon. In my mind, I pictured holding the “ants” balloon, and then letting it go, watching it climb higher and higher, and then disappearing from my view. Next, I let go of the “work” balloon, telling myself that it was gone from my thoughts for the rest of the night. I did the same thing for my blog and any other concerns keeping my mind busy. The result was that I felt my body relax and become ready to settle into sleep. It was such an effective visualization and it took no time to do. I’m going to keep that one in mind to try more often. Try it for yourself when you feel like you can’t settle your thoughts. Speaking of balloons…River was over on Thursday (River Day) and she was trying to tell us about something she wanted to watch on television. She said it a couple times, but my husband and I just weren’t getting it. Then the light bulb above my head came on and I knew. She wanted to watch “Ballon Rouge”. She was speaking French! 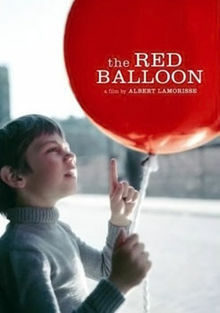 You see, a few weeks ago we were looking for something entertaining to watch together from Netflix, and I came across Le Ballon Rouge (The Red Balloon). It’s a wonderful 1956 French short film, directed by French filmmaker Albert Lamorisse. The story is about a little boy and his (very unique) red balloon, and their adventures in the Ménilmontant neighborhood of Paris, France. The film has very little dialogue and is live-action (not animated). Impressively, it won numerous film awards, including the Academy Award for best writing and best original screenplay (1957). The little boy is played by Pascal Lamorisse, the filmmaker’s son, and a little girl who appears in the film is played by his daughter, Sabine. This is a charming movie that will grab your attention, as it did for River, and have you misty by it’s conclusion, as it did for me. You can view the 34-minute film by clicking on the link below (courtesy Internet Archive). If you watch for only five minutes, you will be hooked. Enjoy! Beautiful film and beautiful pictures of River! She’s absolutely adorable in those little pigtails. 🙂 I like your visualization technique–I’ll have to try that out next time I go to sleep. Sometimes all of those thoughts seem to sprout up when you need them the least! Her first time in pigtails – she looked so grown-up today. What a sweet little girl! Yeah, it was amazing to me that it worked. I really connected with the idea of just letting the thoughts float away from me, and it helped me to shut each thought off. I think I liked the imagery because there was a feeling of airy lightness about the whole scene: blue sky, helium balloons, and the color of white – a sense of emptiness, maybe. Very relaxing. Hi. Like your story. LOVE your pictures of River! What a cutie. Sorry to hear about the ants – we’ve had some infestations through the years. Gotta admit, I get a little crazy when warring with the ants (Think Bill Murray in Caddyshack) :D. Also I showed my kids Red Balloon. And recently, I was very excited to find The Snowman on DVD. I love how the ‘no dialogue’ is used to such great effect in both of these videos. Well, so far Raid is doing the trick (keep your fingers crossed!). YES – I relate completely with the Caddyshack thing! I agree with you about the limited use of dialogue in those films. I think because you have to rely more on the visual, you are drawn in more closely to the action. The Snowman is one of my favorites. I like that The Snowman and The Red Balloon tell very simple stories through the use of fantasy or childhood imagination. And they both deal with love and loss, through the eyes of a little boy. Rewarding endings, both. I agree–there is a very quiet and calm-inducing aspect to both The Red Balloon and The Snowman. While so many animated movies out there rely so much on dialogue, so much dialogue can be tiring to follow and the voices wear on you. It’s funny, as a kid I used to love Saturday morning cartoons. But now, whenever I turn them on for a minute or two the voices irritate me and I end up changing the channel. I think we live in a society where generally silence is uncomfortable. However, minimal dialogue can allow us to pay attention to what is truly important in the story. I still want to see The Artist! We should see it together sometime. That’s interesting, what you say about people being uncomfortable with silence. With 70% of the population being extroverted, it may be that most people do find comfort with the stimulation of sound because their brains are wired for that. As an introvert, I find, at times, that sound can be overstimulating. Now here’s something – have you ever noticed that when you turn the volume down on the tv or on music it forces you to have to tune in more? Sometimes, when you want to get someone’s attention, you don’t have to be louder – you have to be quieter. I also think that we get used to relying on certain senses more than others. Perhaps we rely more on hearing than on seeing when we watch movies, or at least more than we think we do. Yes, let’s make plans. I think that would be fun – with a big tub of popcorn! As for senses, I think I rely more on the visual aspect. I’ve noticed that often I have to ask people to repeat themselves because I am absorbed in something visually. I remember dreams in images rather than sounds, and I often notice things that other people do not (signs, writings, things on the ground, etc.) However, I am very uncoordinated when it comes to athletics! I guess we can’t be perfect. Well, here’s a funny thing I just remembered…sound can be important to me when I am watching my Korean dramas! Even though I am understanding the dialogue by reading the captions, I NEED to hear the dialogue, even though I don’t understand much Korean. It’s not about the words. In this case, it’s about the inflection and the use of voice in expressing emotion. I know that we’ve talked about this before, but it’s still interesting, huh?